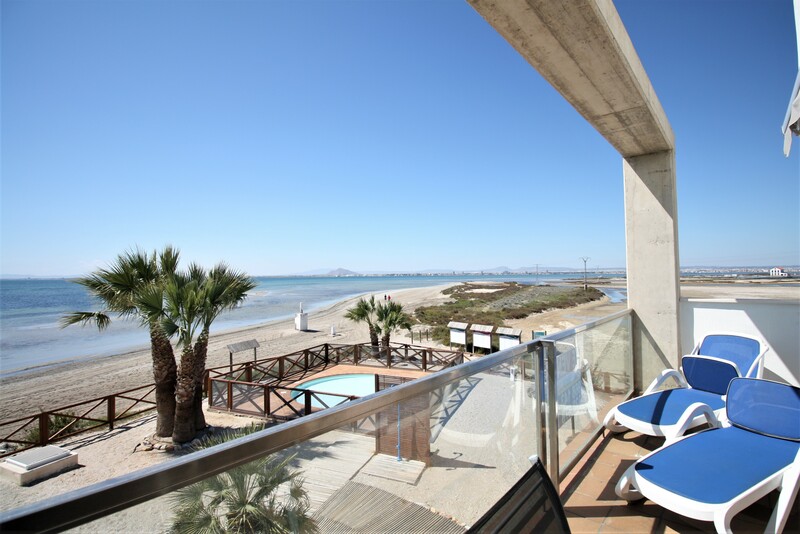 Lovely two-bedroom apartment with a bright living room and access onto a terrace of 10.70sq meters, with direct views over the Mar Menor. 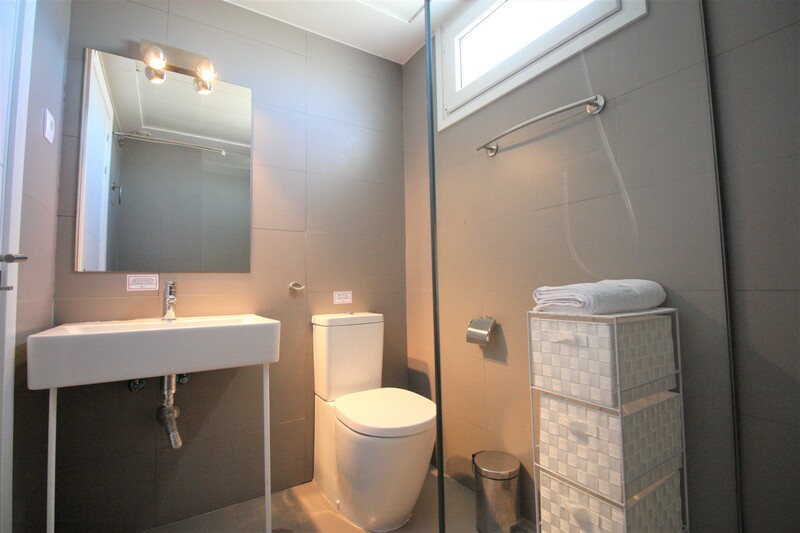 It has one complete bathroom with walk-in shower. 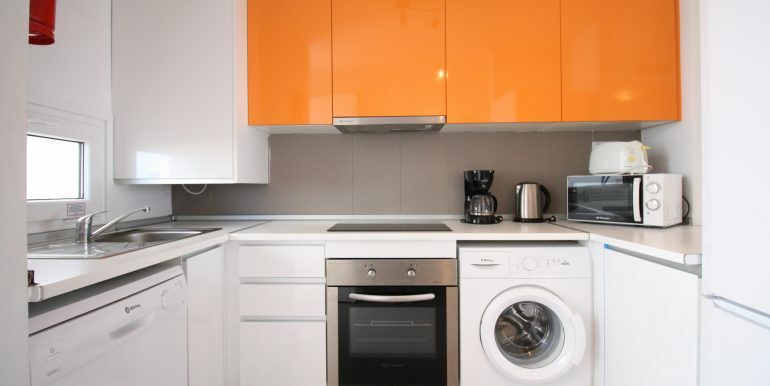 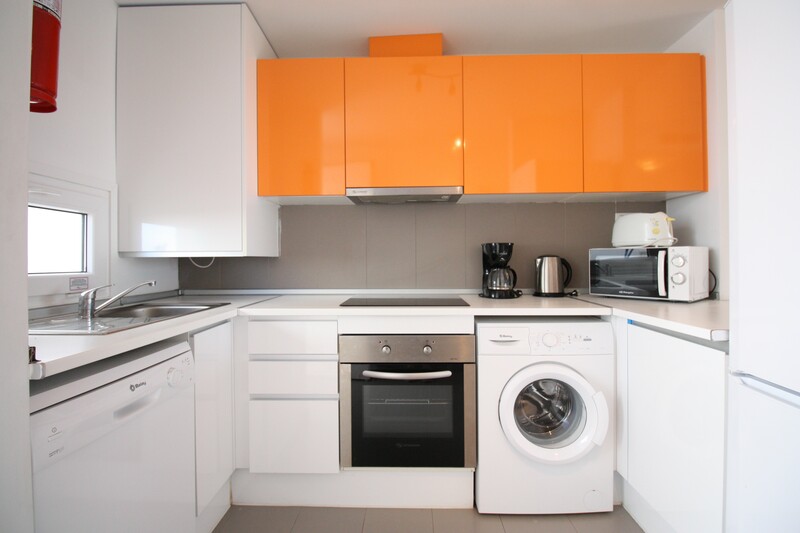 The fully fitted kitchen is modern with clean lines and finished with white and orange high gloss cupboard fronts. 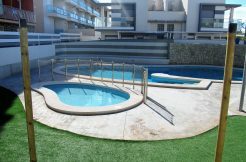 The apartment is being sold as is, fully furnished, with centralized aircon and the price also includes an offroad parking space. 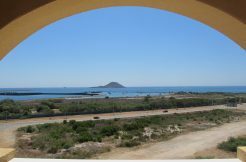 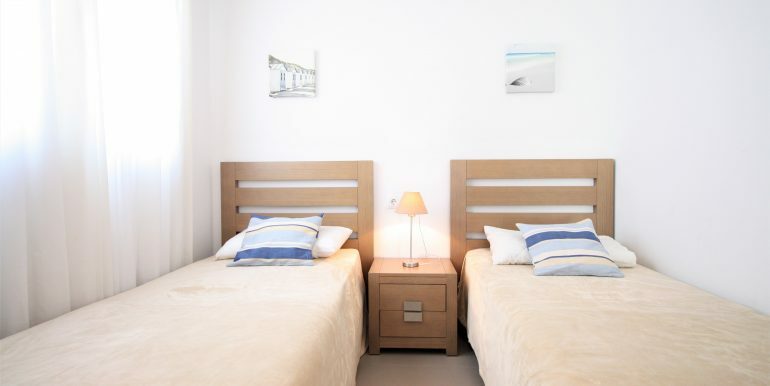 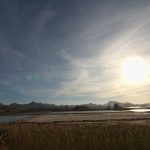 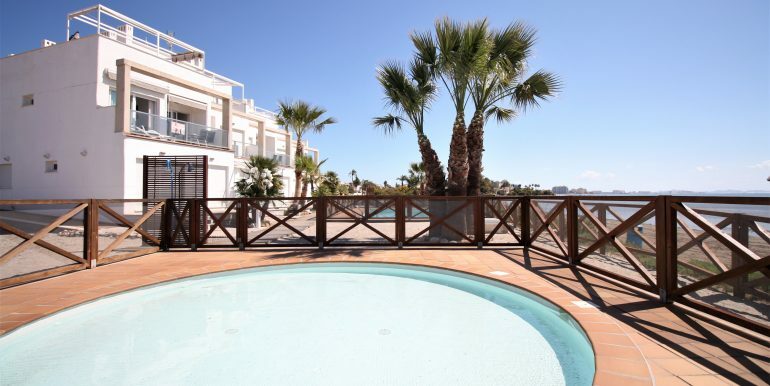 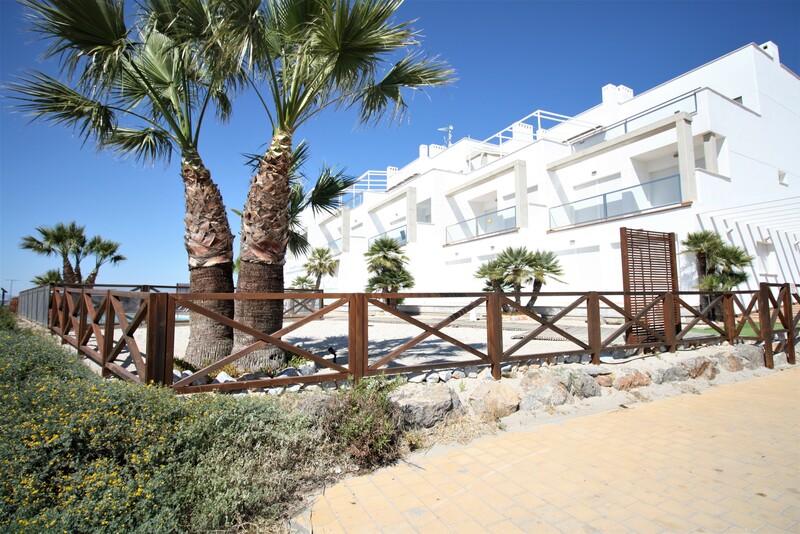 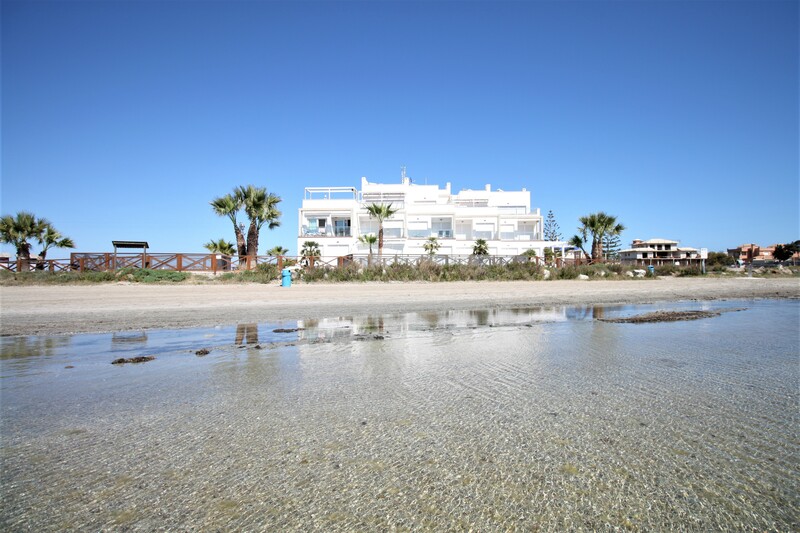 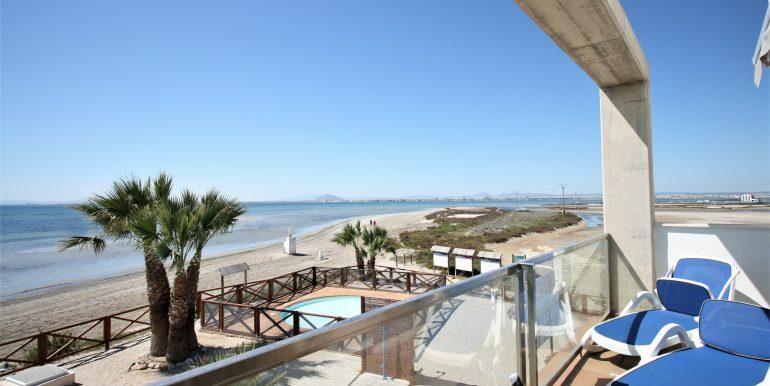 Located in Arenales, a beautiful development at the very end of La Manga strip, over the famous “Puente de la Risa” within an exclusive residential area, perfect for those of you seeking the peace and tranquility of the unspoilt surrounding beaches. 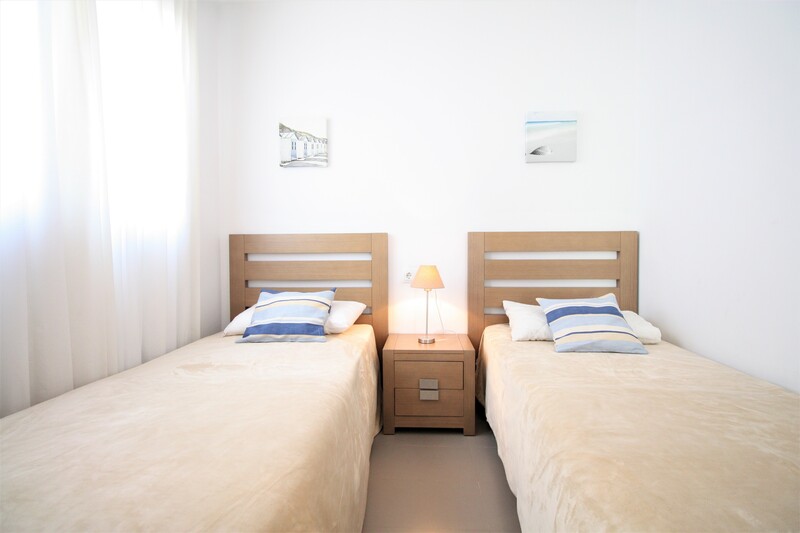 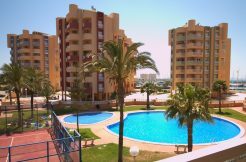 The development has a communal pool, situated just in front of the beach, with shaded areas to relax in whilst soaking up the views over the calm shores of the Mar Menor and the San Pedro del Pinatar salt lakes. 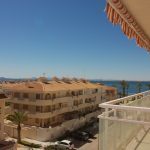 In the immediate area there are a handful of places to dine out in as well as a small supermarket where you can buy the essentials. 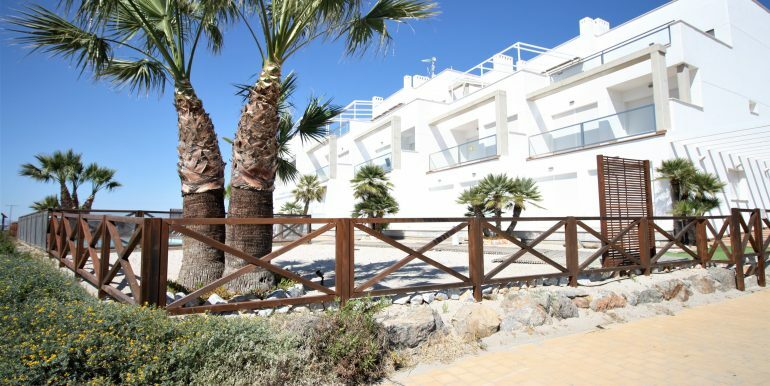 Just 5 kilometers away however, the Tomás Maestre Marina is loaded with restaurants and bars offering up local and international cuisine, a large supermarket, shops, pharmacy etc. 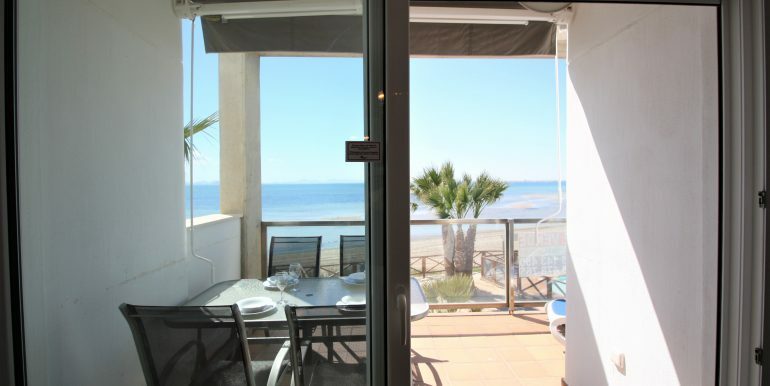 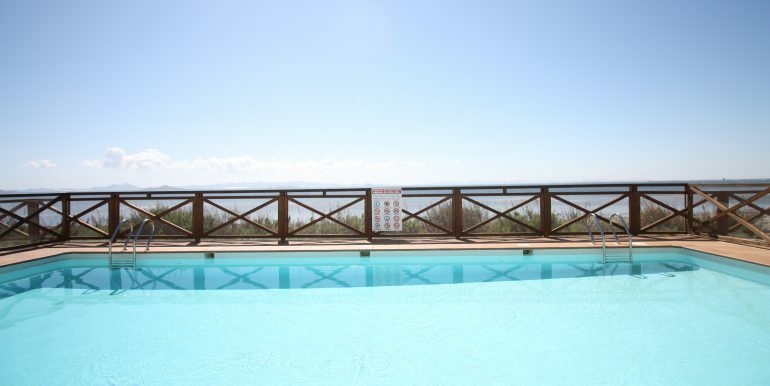 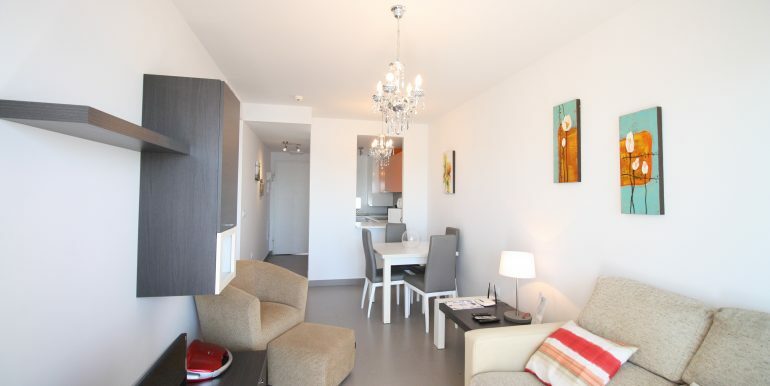 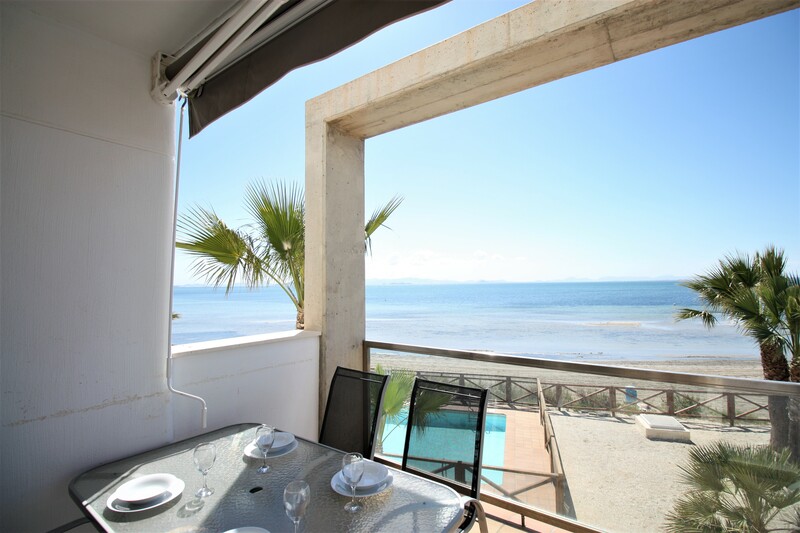 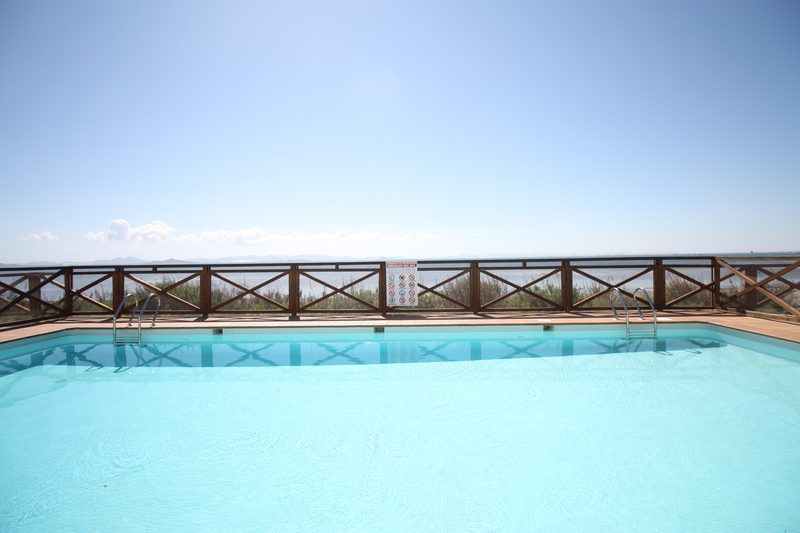 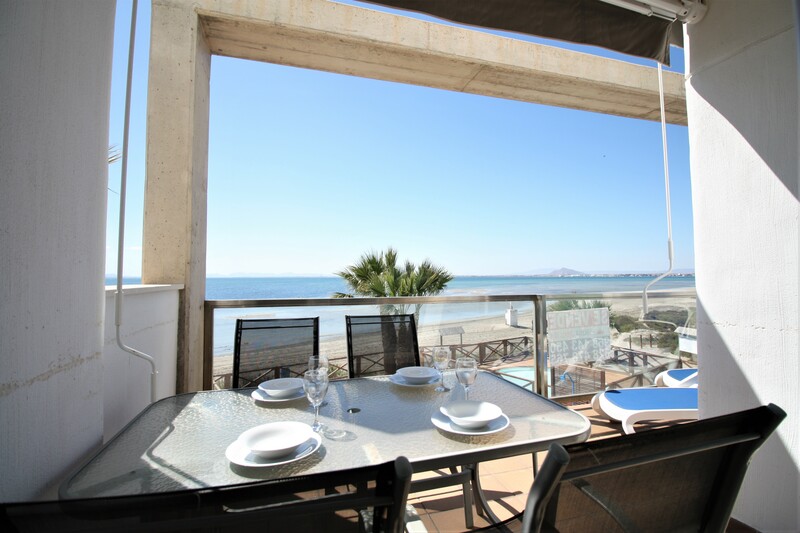 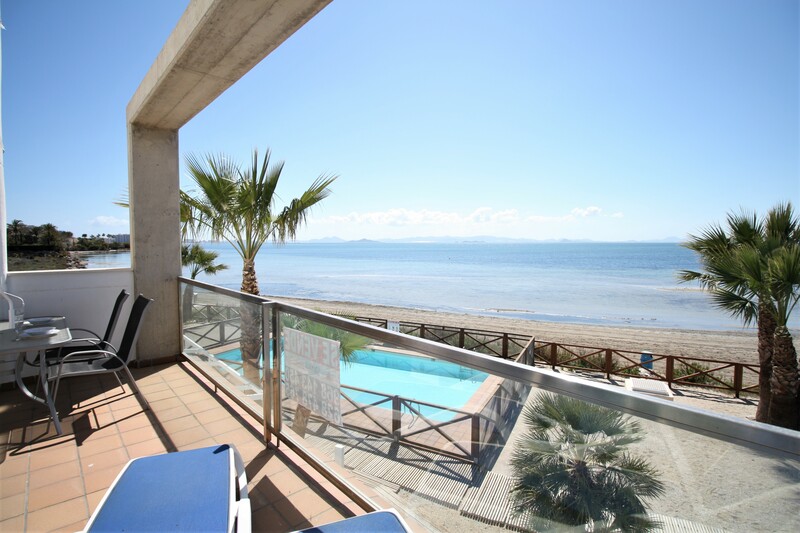 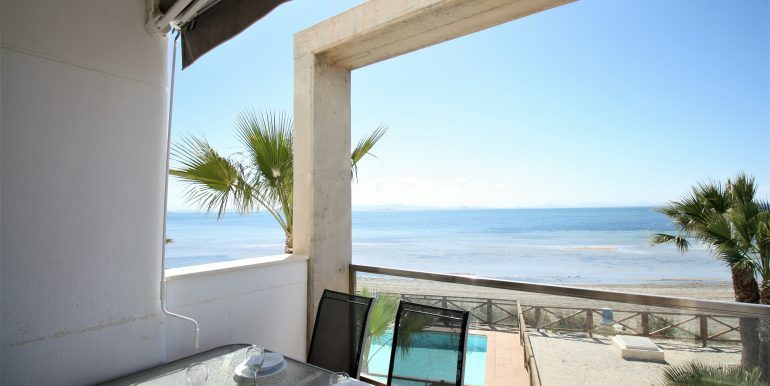 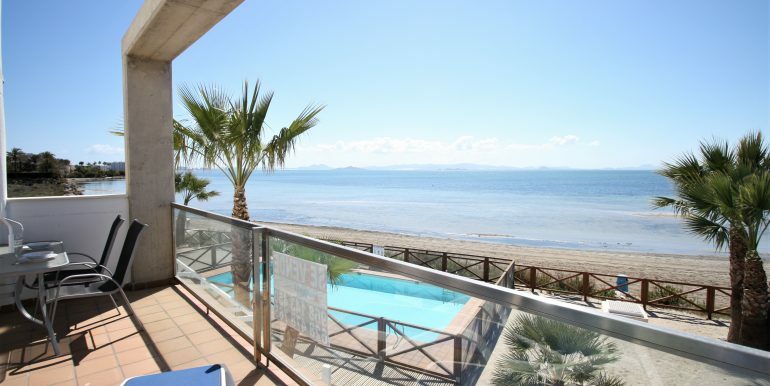 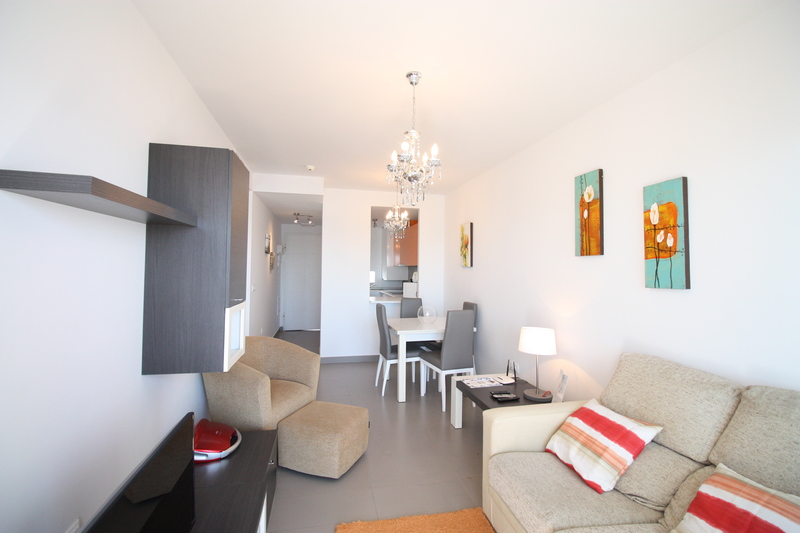 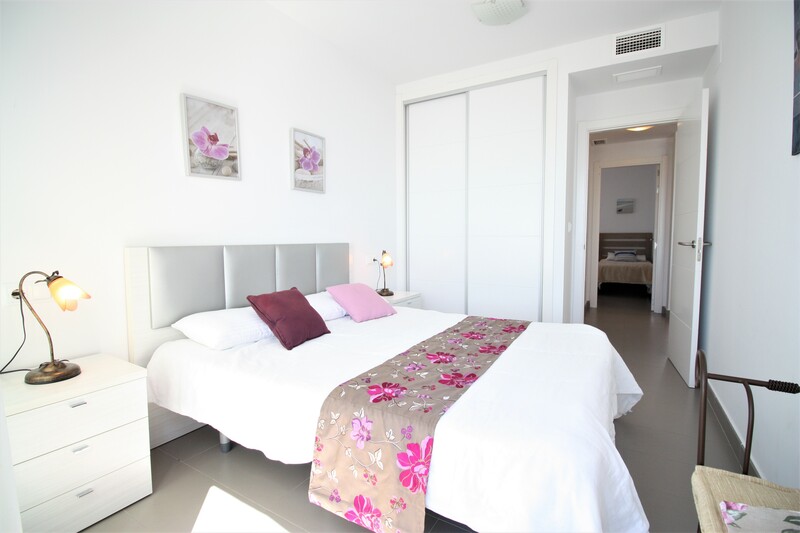 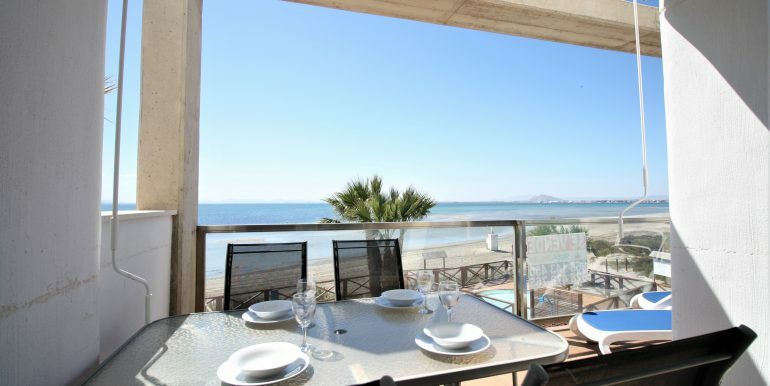 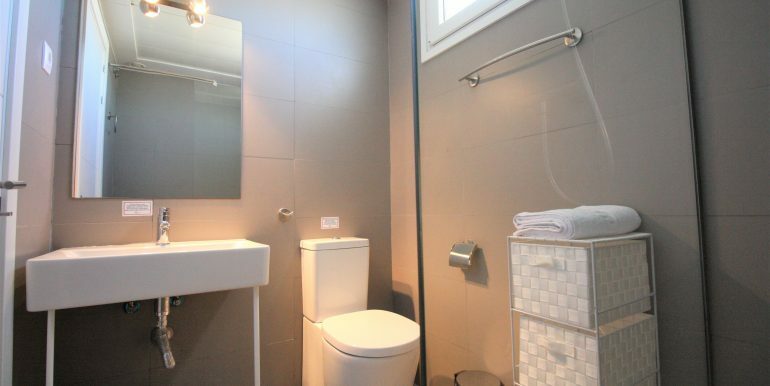 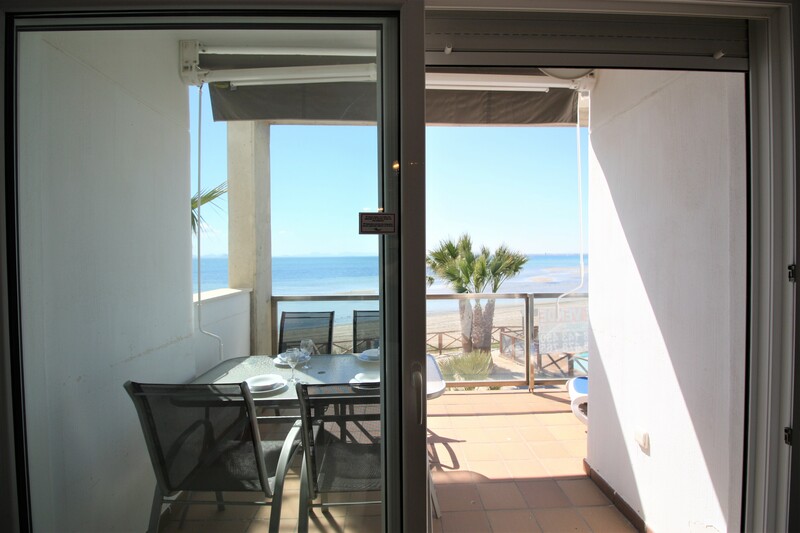 Bright apartment with salt lakes views Lovely apartment with views & ample terrace!